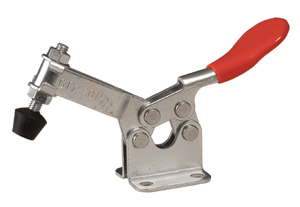 To see toggle clamps size comparison chart Click Here. 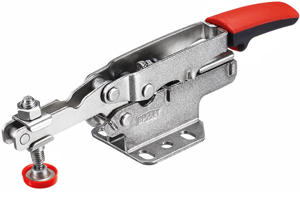 These Push Toggle Clamps are for keeping stock tight against fences for drilling or cutting. 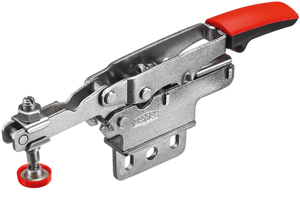 Constructed of high grade steel with easy grip handles. 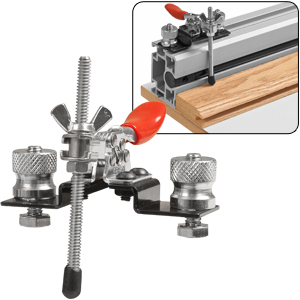 Can be mounted to any jig or fixture with wood screws (not included). 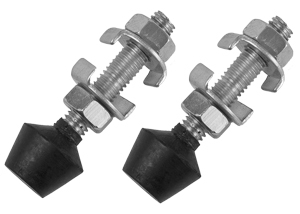 Adjustable rubber pressure tips. 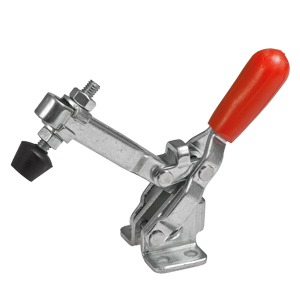 Small Spindle Horizontal Handle Quick Release Toggle Clamps are ideal for use in a variety of applications, including jigs, bench holdfast's, and for specific production situations, where quick and easy repeatability is vital. 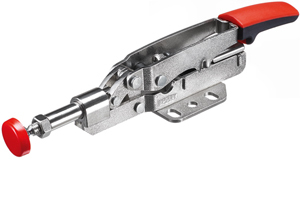 The ends of each clamp have an adjustable rubber tip to control pressure sensitivity. They are easily mounted with four fasteners. Toggles listed below out of package will Not work with T-Track. Clamp different thicknesses of wood without making and adjustments! 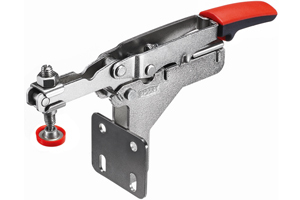 No more having to adjust your toggle clamp manually when your stock changes thickness even slightly. 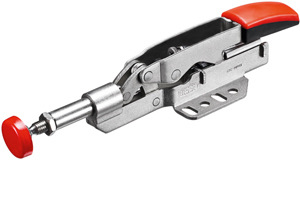 Bessey's Auto-Adjust Toggle Clamps will revolutionize the way you use toggle clamps, they automatically adjust to different workpeice thicknesses while maintaining constant clamp pressure. The removable non-Marring plastic cap is included on the 7/8" diameter pads. 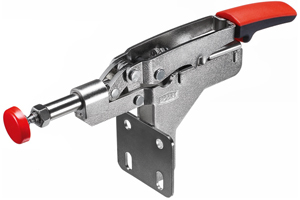 A simple screw at the base of the operation handle allows you to dial in the amount of clamping pressure to be applied. 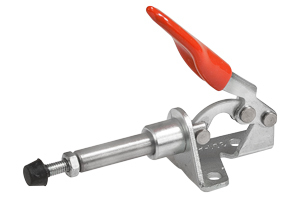 A locking nut on the screw prevents it from changing during use. 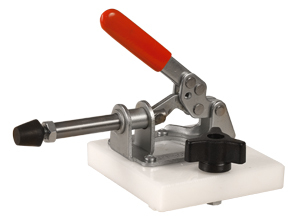 The integrated clamping force adjustment screw can be used to create an applied clamping force from 25 to 550 lbs. (max holding capacity 700 lbs.) 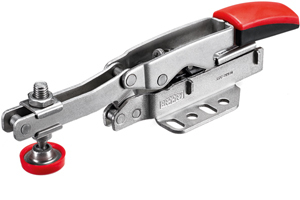 One Bessey Auto-Adjust Toggle Clamp can replace a range of competitive toggle clamps. 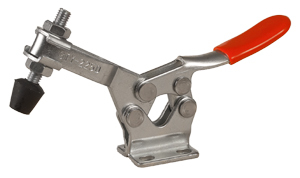 The large (2-1/4" x 2-1/2") heavy steel flanged base is designed for use with 1/4" or M6 fasteners. 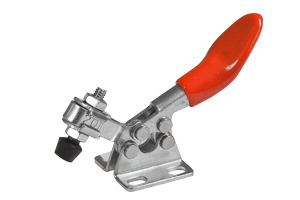 Mounting holes are sized & spaced for easy mounting and versatility. 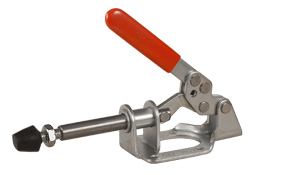 The large nicely shaped 1" x 2-1/8" handle offers greater user comfort and ease of operation. 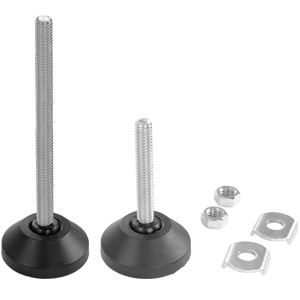 Replacement bolts with rubber pads for when your Toggle Clamps and/or your Push Toggles wear down. 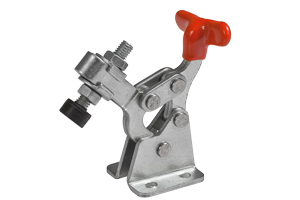 Attach the Dual Pad Assembly Kit to your large size toggle clamp to increase your clamping capacity width. 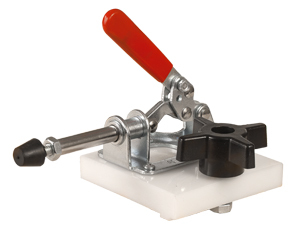 Grate for shop made jigs and fixtures and special assembly aplications.The Dual Pad Assembly fits most standard large toggles that accept 5/16" bolts. 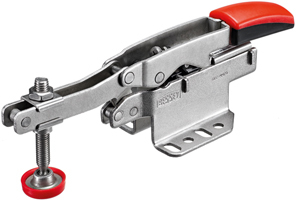 These oversized clamping foot provides more stable clamping pressure and does not mar on soft woods. 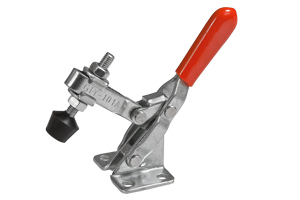 Swivel-action foot is perfect for clamping angled stock, and measures 1-5/8" in diameter. 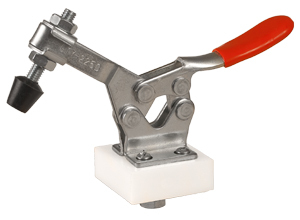 The clamp foot will fit most toggle clamps. 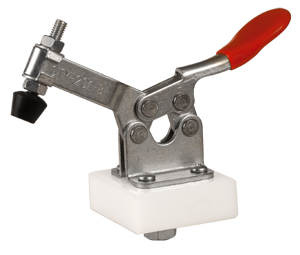 Toggle clamp not included.